The Honda Civic is one of the most recognized cars in Honda line-up. Civic lovers have made the Honda Civic one of the most bought cars within Honda! 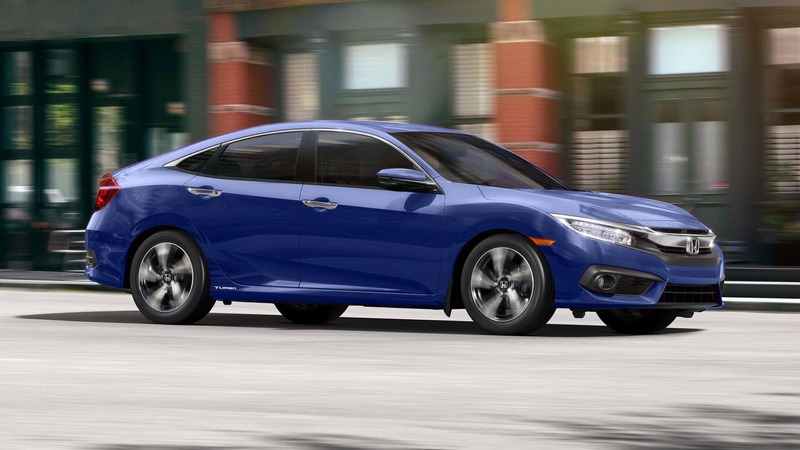 Honda has released an updated Honda Civic Sedan LX that brought back the fire of Civic lovers. The new Honda Civic Sedan has a sophisticated design and uses new technology to propel it to head of its class. So, what new features are available in the 2018 Honda Civic Sedan? The Honda Civic sedan boasts new features that every Civic lover has to have. The sedan offers a new, designed grill to help Civic drivers stand out when they are driving down the road. The new headlight design gives a new sophisticated look and greater visibility to keep you safe. Available in an array of colours, new Civic’s won’t get missed on the road. The interior of the Honda Civic sedan offers lots of space for both passengers and cargo storage. Using the highest-quality materials and technology, the interior design prioritizes comfort. Upgraded technology offers a larger 7” touchscreen display, Android Auto, and Apple CarPlay. WiFi hotspot is now also available in the sedan so you always have access when you need it. Equipped with a 2.0-litre, four-cylinder engine the 2018 Honda Civic Sedan LX boasts 158 horsepower and 138 pounds per feet of torque. With this updated engine also gives you better fuel economy. You can expect to get 8.5L/100 on city roads and 6.0 in highways. Honda’s safety suite is at its best year. The airbags placement is strategic, to ensure passenger safety at all times. That’s only the start. The ABS system including brake assist, electronic brake-force distribution (EBD) help to prevent collisions. These features also help with vehicle stability with traction control. The new Honda Civic Sedan LX is coming into Canada and coming by storm. Book your test drive at Henley Honda today to take a closer look at all new features!